Thank you for reading Mike and Sus Family News. I moved all these posts to http://mikeandsus.org/category/family-news/. I post once or twice a week with true stories, encouragement to share your faith, our ministry news and family news, and more, on our new site. So please sign up here for a weekly email to let you know what’s new!. Unless otherwise noted, all photos were taken by members of our family and are copyrighted by the Schmitt family. You're also invited to read our online newspaper which is updated at the beginning of every month with selections from all of Sus' blogs. Click here for descriptions and links to all our sites. We have read a lot of books as a family. 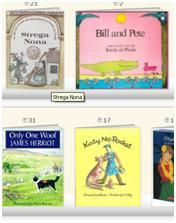 Sus started a virtual bookshelf of over 500 books we have read that we recommend for family reading. If you would like to know more, go to follow this link.